Excited and enthusiastic primary school children have been attending launch events across the borough for this year’s Junior Recycling Officers’ programme. Events were held at venues in Congleton, Crewe and Macclesfield. A Junior Recycling Officer (JRO), encourages the three Rs; Reduce, Reuse and Recycle, in their schools and with their families and wider communities. All Cheshire East primary and special schools have been invited by Ansa Environmental Services to join the scheme. Attendees were treated to a special appearance by ‘Phil the Bin’ as well as activities including a composting quiz, a Love Food Hate Waste game and a quiz on recycling from your bathroom. Lucinda Hodges, Waste Education Officer, explained to the children how Salvation Army Textile Recycling works and how families can assist a charity by raising £200 per tonne of textiles for schools. Spectacle recycling through the charity, Vision Aid Overseas, was also discussed as an example of reuse. At all of the events, Junior Recycling Officers each received a jute rucksack with recycled stationery and books to take back to school to help them in their role. The children were also briefed on key aspects of their roles such as; organising great competitions, leading recycling assemblies, as well as setting up reuse & recycling collections. In September, posters were sent to schools for display and details of a ‘Carrier Bag Competition’ were also circulated. 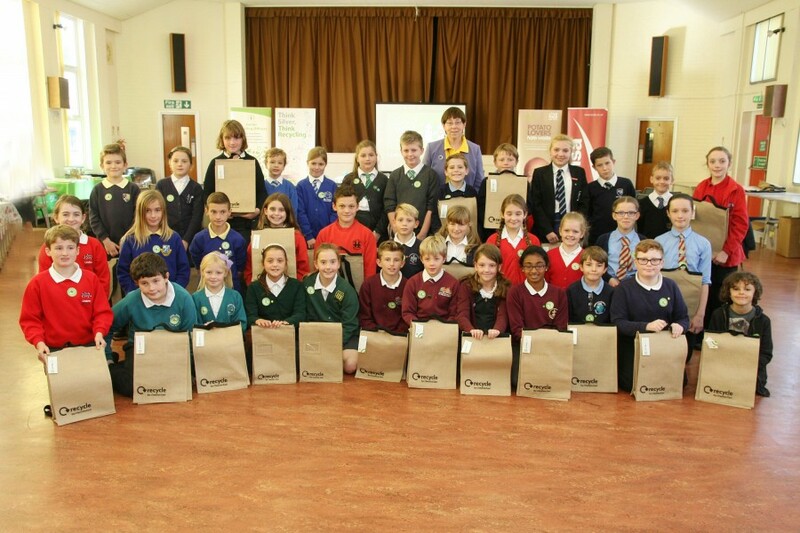 The competition invites pupils to design and make a strong carrier bag that could be reused many times. This challenge was set for the pupils so that they might consider the five pence charge now imposed on single use carrier bags. There are currently 130 Junior Recycling Officers from 60 schools in the Cheshire East region participating in the Junior Recycling Officers’ programme. For more information, please visit www.cheshireeast.gov.uk/recycling.